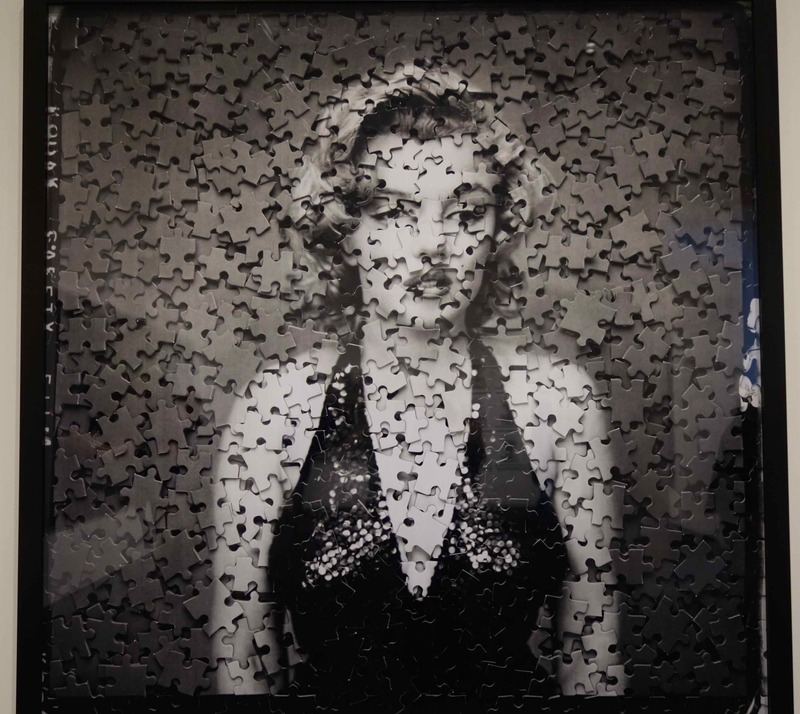 Solbit Sees Marilyn Monroe, a famous long gone actress! We’re enjoying our time in Washington, DC, and it just got better with visitors. Uncle Jim and Aunt Pat came out from Ohio. On Saturday morning, we all got together at Uncle Tom and Barbara’s. Uncle Tom made pancakes for all of us. Then we went for a walk on Capitol Hill, and we did have fun. Doing guess what? Seeing more art! First, we stopped for lunch at the National Museum of the American Indian; they have the best food there — you have an amazing array of choices! After lunch, we walked over to the National Gallery of Art’s newly renovated East Building. Girl, did we have fun there looking at all the art, going out on the roof to see the blue rooster, yes blue, and visiting the gift shop, too. Let me show you some of the art that we saw. Even though a woman takes up the whole thing, the artist gave it a man’s name, “Gordian Puzzle.” Go figure. Marilyn Monroe, a famous actress, was photographed by Richard Avedon in 1957. Then artist Via Muniz turned her into several jigsaw puzzles in 2007! I get the “puzzle” part of the name, of course, but Gordi or Gordon? Nah, doesn’t make sense to me. How do you explain that? Let me know if you figure out what a Gordian Puzzle is. Katharina Fritch, the artist, can turn glass fiber, polyester, and resin into something big and beautiful, but who ever saw a blue rooster? Do they come in blue? Never before have I seen a rooster that big or that blue. Have you? He hadn’t turned blue because of the cold outside, either. It was a perfectly comfortable day. I wonder what got into the artist. 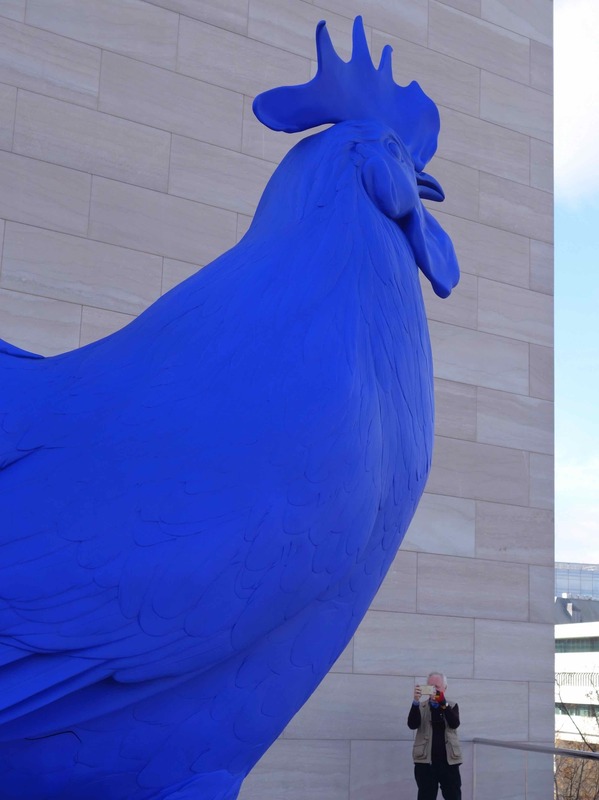 Do you think she just woke up one day and said to herself, “I’m going to make a big, blue rooster today, and I’m going to put it on top of a big art gallery?” Whatever, I have to hand it to her, she got it done, made it happen, over came all the challenges. 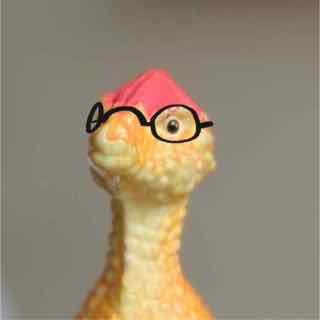 After all, a lot of people must have complained about a blue rooster on the roof of an important building. She’s my kind of woman. One thing I noticed as we rambled around this big art gallery was how a piece of art could set off Nona and Barbara talking and talking and talking about something they were looking at on the wall. 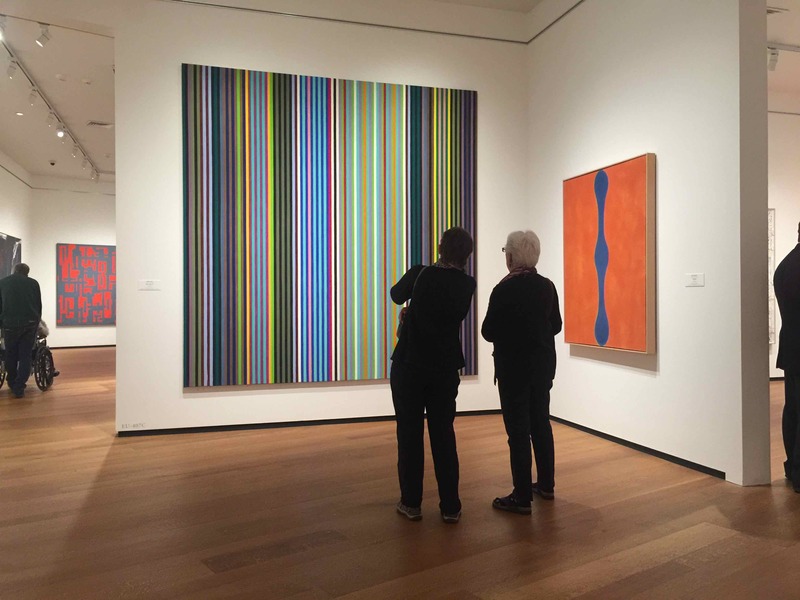 Nona and Barbara liked to stand and stare at certain paintings. A painting could keep them chatting for a long time. Really, girl, how much can you say about this painting? I just don’t see all those words being generated by a piece of canvas and oil paint brush strokes. 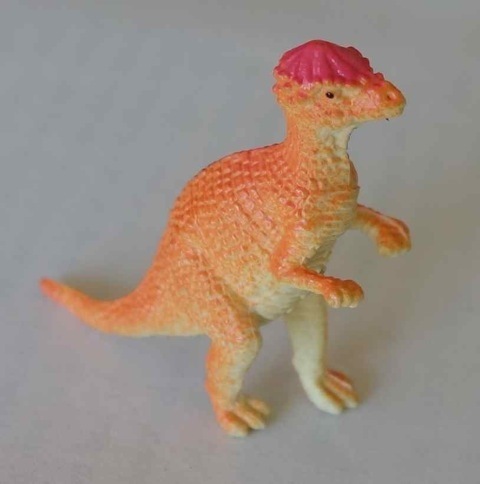 Guess I’m just a plastic Jurassic that doesn’t understand humans, yet. Here’s another painting that baffles me. It doesn’t have in it what the name says as far as I can tell. 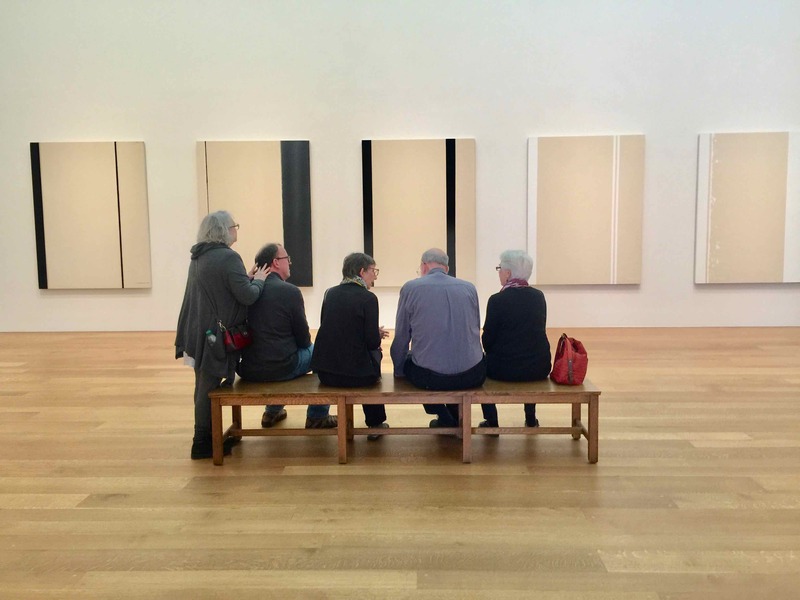 From left to right: Aunt Pat, Uncle Jim, Nona, Uncle Tom, Aunt Barbara, Orange Purse in front of several paintings called “stations of the cross.” Didn’t look like gas stations and where’s the cross? Papa told me that “stations of the cross” has something to do with western religious traditions. I didn’t get it all, but I get it that this painting wasn’t about gas stations. Did you know that Papa studied Comparative Religions when he was in college? Yeah, surprised me too. Well, maybe that’s why he took this family portrait in front of this painting? I guess it’s religious, whatever that means. I don’t know. As you can see, Papa’s photos are not as good as Nona’s. I think he doesn’t try hard enough. Know what I mean? I mean he could have asked them all to turn around. Also, maybe he should use a real camera and not just his phone camera. Hey, we’re going to see you in a few weeks. We’re flying to the west coast pretty soon. Bye! I’m your friend.